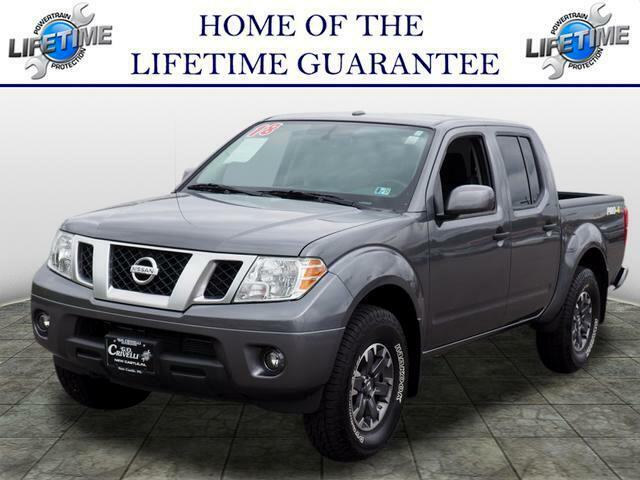 Used 2018 Nissan Frontier 4WD Crew Cab SWB Auto PRO-4X for Sale in New Castle PA 16105 G O Crivelli Automotive Inc. VIRTUALLY BRAND NEW!! EXTREMELY CLEAN 4X4 CREW CAB PICK UP. 4.0L V6. STOP IN AND DISCOVER THE POSSIBILITIES AT G.O. CRIVELLI AUTOMOTIVE. MOST VEHICLES COME WITH A LIFETIME WARRANTY!!! !